8. 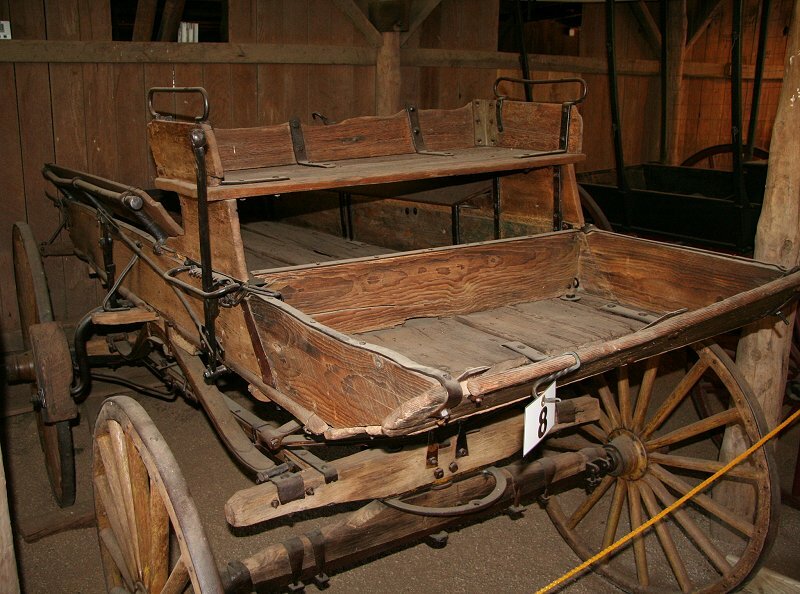 Mountain or Express Wagon, 1850 onward. Could carry small heavy loads such as gold or silver bars. Note the tailgate, large brakes and multiple springs. 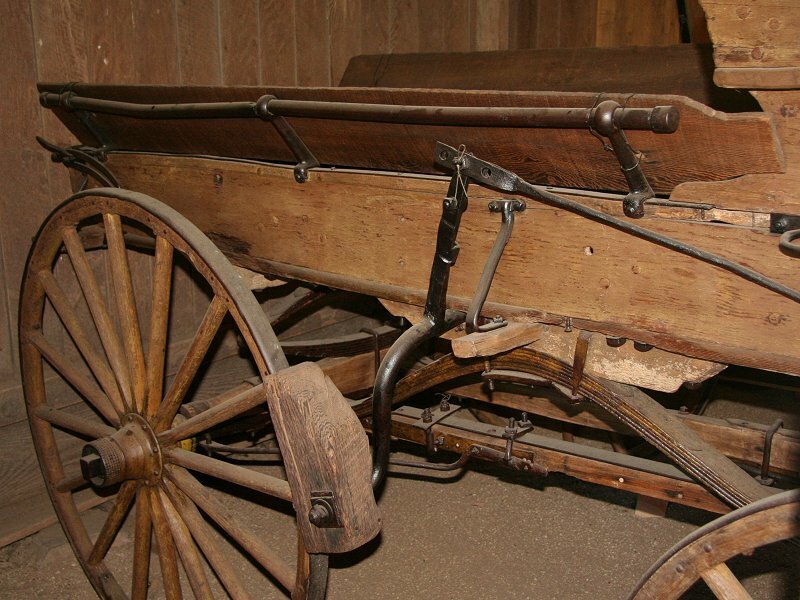 Armed guards sometimes filled the wagon behind the driver. Owned and driven by Joseph Wood, a teamster from the nearby town of Oregon House. 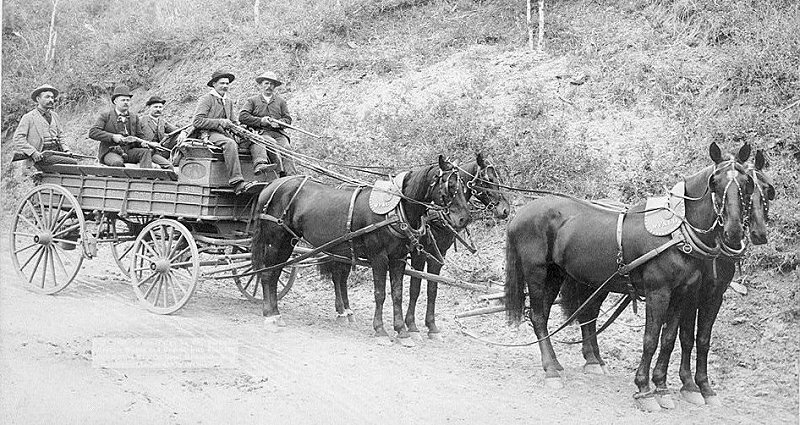 Pulled by 2 to 6 horses, depending on the load or route. 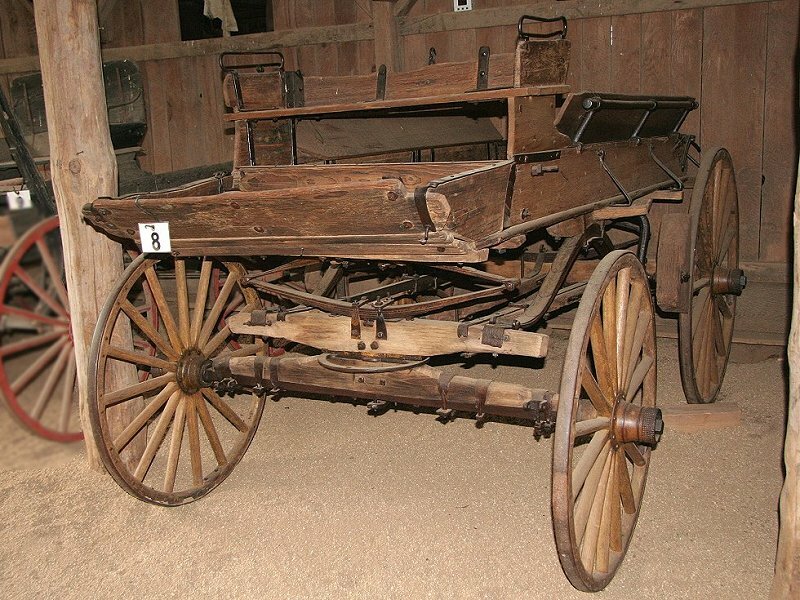 This photo of the mountain wagon, taken in 2005, best shows the tailgate feature on several of the wagons. 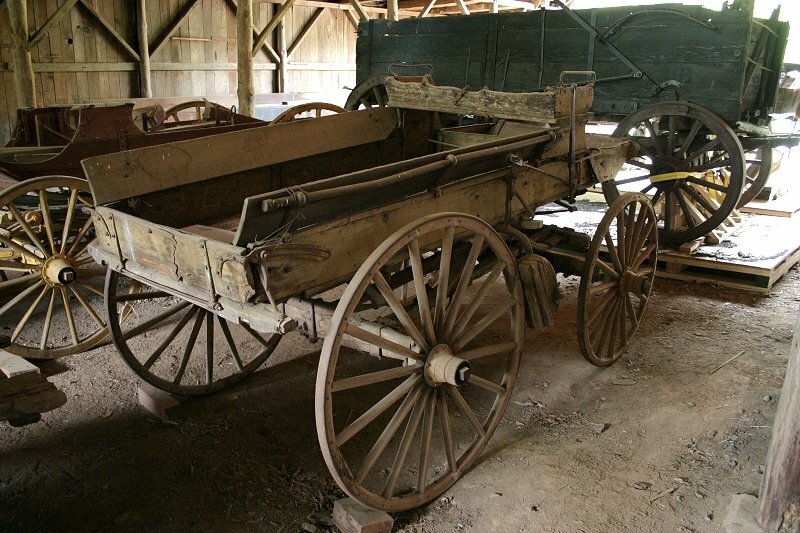 The wagon was shipped out in 2006 to be restored. Good view of front leaf spring and turn bearing, and large longitudinal side spring. 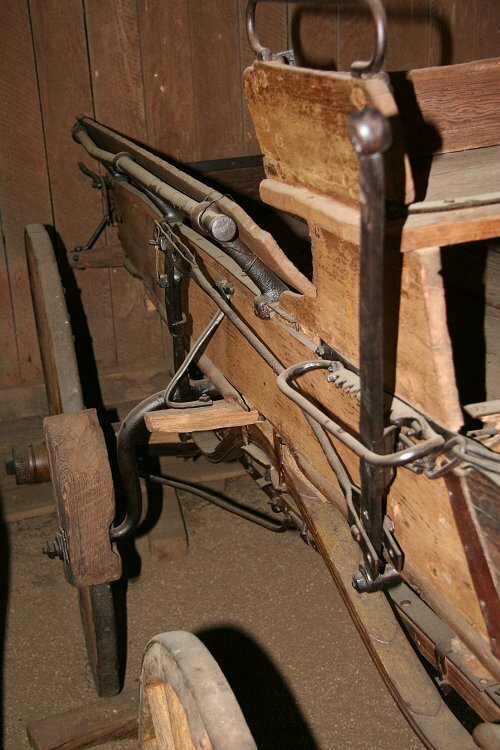 These side springs are called Concord springs, after their manufacturer in Concord, Massachusetts. Good view of brake lever and ratchet, and seat side handles. The irregular shape of the top of the seat back is probably from horses chewing on it in the barn. The metal rails, set at an angle on each side, were for tying loads in place. Angled boards were added later, secured with baling wire, the makeshift material of choice. The leaves of the Concord spring are clearly visible in this photograph. The tie rod from the driver's brake lever rotates a shaft that has arms to each of the brake shoes. As in the brake levers of the larger wagons, the driver's is a class 2 lever(fulcrum at far end), so brakes are applied by pushing it forward. An express wagon in service, probably carrying a gold shipment. Note three men in back, each with a rifle, plus another riding shotgun next to the driver. Also note the four-horse team for this heavy load.